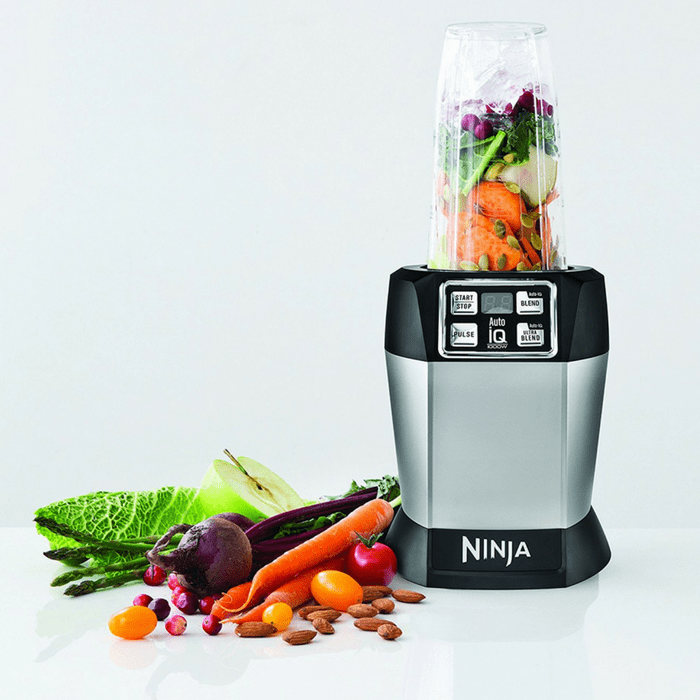 Nutri Ninja Auto-iQ Blender Just $67.50! Down From $150! PLUS FREE Shipping! Amazon is currently offering this Nutri Ninja Auto-iQ Blender for just $67.50 down from $149.99 PLUS FREE shipping! The Nutri Ninja with Auto-iQ takes the guesswork out of drink making! Auto-iQ Technology features intelligent programs that combine unique, timed pulsing, blending and pausing patterns that do the work for you! The digital countdown timer displays how much time is remaining on the selected Auto-iQ program, or counts up to track blending time when using the two manual speeds. Each preprogrammed settings is designed to do the work for you and deliver consistent and delicious drinks with maximum nutrient and vitamin extraction—all at the touch of a button! 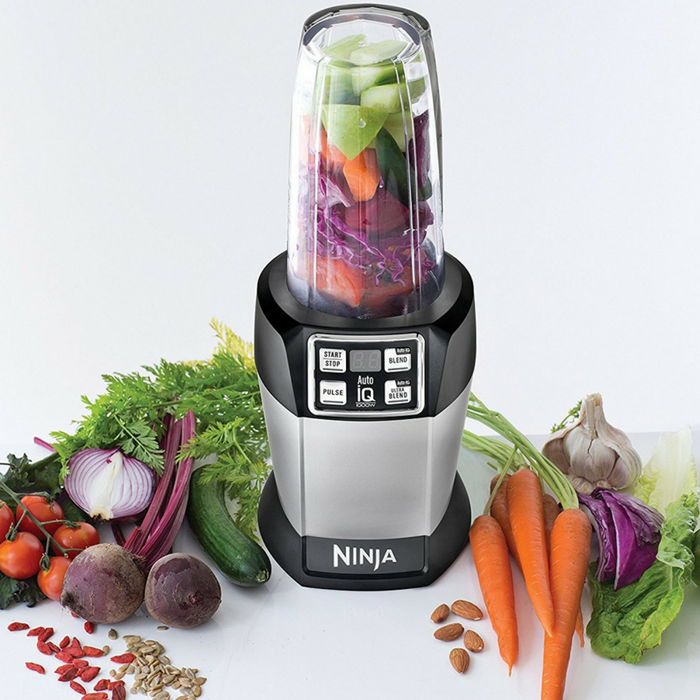 Combined with Nutri Ninja Pro Extractor Blades, Auto-iQ breaks down whole fruits, vegetables, ice and seeds for maximum nutrient & vitamin extraction. Small, Regular, and Jumbo Multi-Serve Nutri Ninja Cups with Sip & Seal Lids allow you to make nutrient-rich Super Juices to take on-the-go! All parts are BPA free and dishwasher safe.